Selling custom product online is becoming more and more popular. All the big brands are doing it. 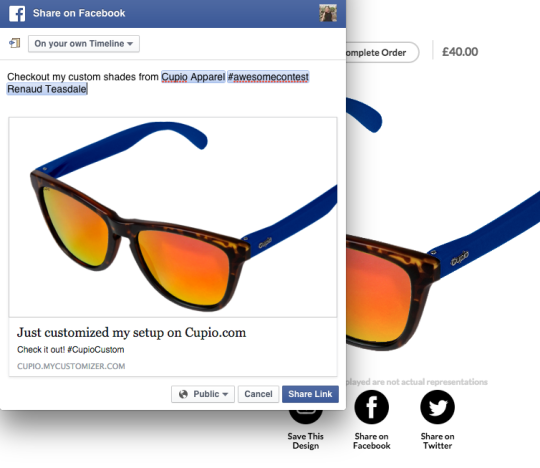 Having a product customizer with visualization is an awesome tool to get customers engaged in the buying funnel. They get to design their own perfect product and get an idea of what it will look like. Getting the right customizer or product configurator is a must, but taking advantage of all it’s functionalities is where you can make a huge difference by creating fun campaigns to boost your sales and your brand. Using the built-in social media sharing, create a social contest to offer your customers the chance to win the custom product they designed. Create a simple set of rules asking users to design their product, share them on social media with a specific hashtag, like your page and tag a friend. It’s an easy way to gain more followers and spread the word about your business! As architect Mies van der Rohe said: “Less is more”. Creating the perfect pair of shoes or sunglasses is great, but it can get confusing if there are too many options available. Your customers get lost in a sea of options and they never reach the checkout. Keep it simple by creating “starting points” for your customers to choose. Create a simple design, and give your customers the option to start by customizing the design or buy them as is. This will give them the freedom to make any changes they like to an existing product while speeding up the design process. When your customers are creating their dream custom product, they might want a second opinion from a friend before actually making the purchase, or maybe they want to sleep on it to make sure they’ve made the right design choices. It can be frustrating to start over when they’ve spent the time to make it right. With a built-in save functionality, your customers can log in and come back to their designs whenever they want. It is also a great opportunity for you as a seller to sign them up to receive email offers. If you see that some designs have been saved but not purchased, you can send them an email with a discount code as an incentive to complete their purchase. 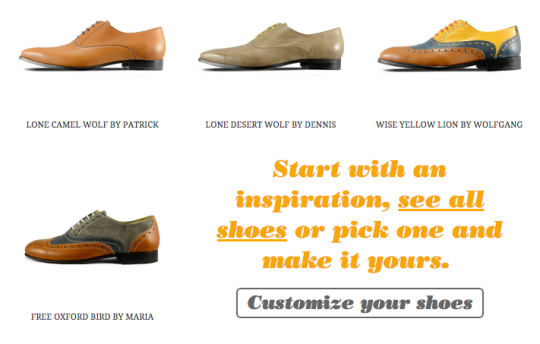 We believe a great customizer should offer all these options, this is why they come standard in all of our packages. With a solution that works well, you can get creative with all the available tools and give your customers exactly what they want. Isn’t that why you started that mass customization business in the first place? Sign up for a free demo and we’ll show you how much you can get out of your customizer!